The massive multiplayer online game, Dota 2, has been a popular hit since launching a few years ago. It has spawned professionals to tap into its strategic elements in order to compete at the top level. Now, the most dedicated fans and even casual players can pick up figures based on two of its many characters. Queen of Pain is truly evil as she hurls poisoned daggers and unleash sonic screams. However, the Nendoroid version of her shows off her adorable side. The Queen’s body is articulated allowing for various poses. This item comes with two different facial expressions and weapons to have her ready for action. Pre-orders are available now until March 23. 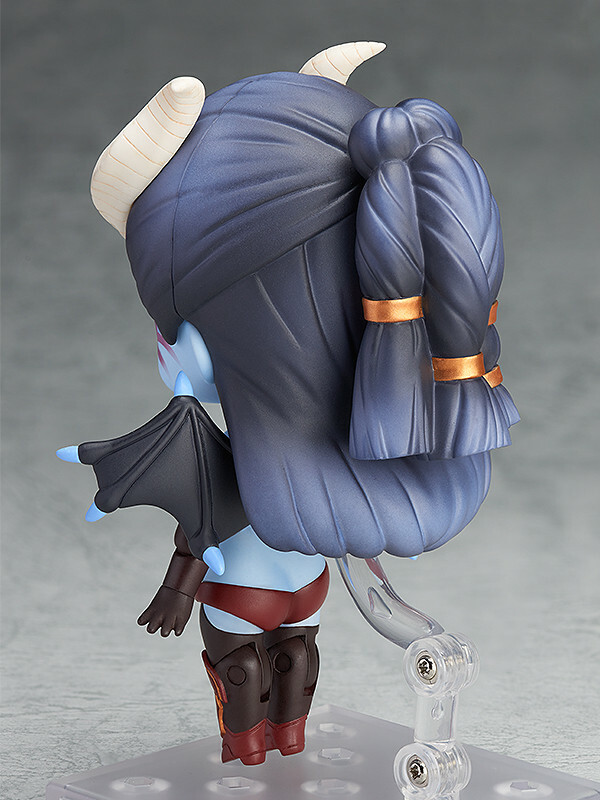 The Queen of Pain Nendoroid becomes is slated to become available in July of this year. 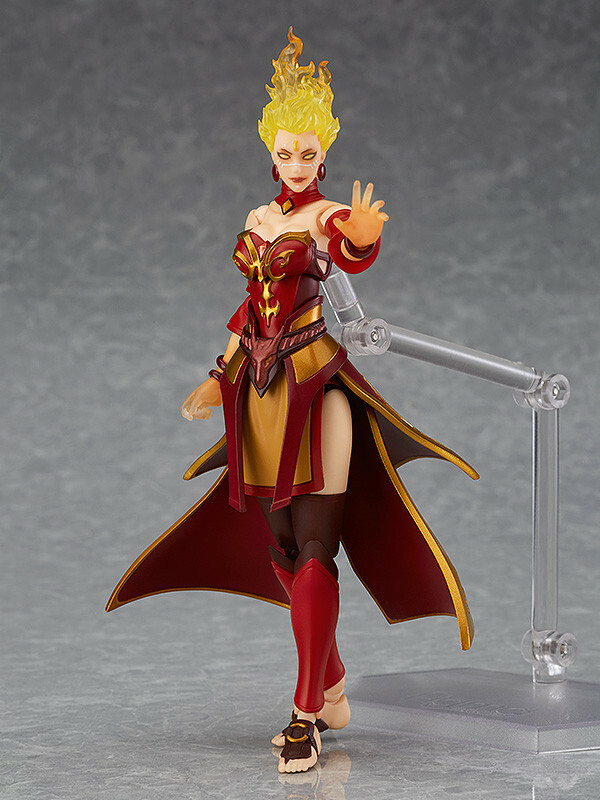 Agony awaits anyone who choose not to add her to their collection. 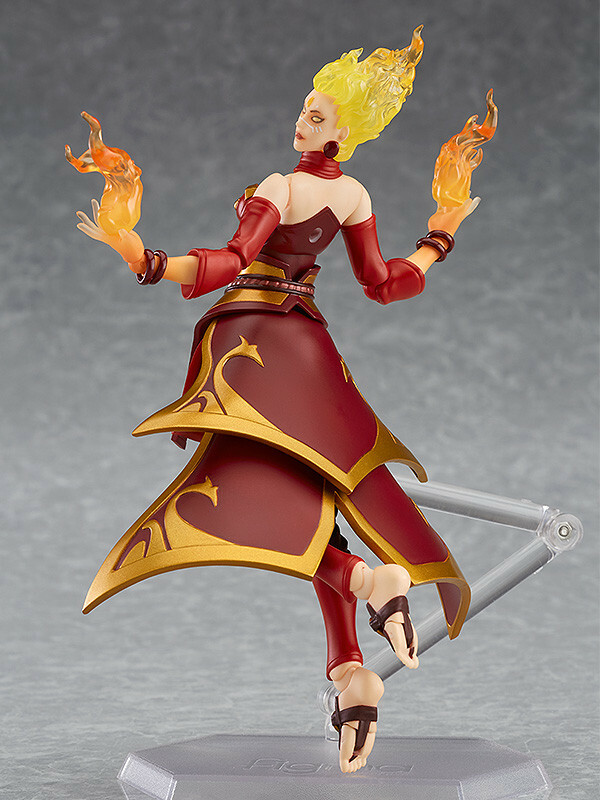 Get a fire going with this figma Lina figure. She has a burning sibling rivalry with her sister but that doesn’t slow her down; it only fans the flames! 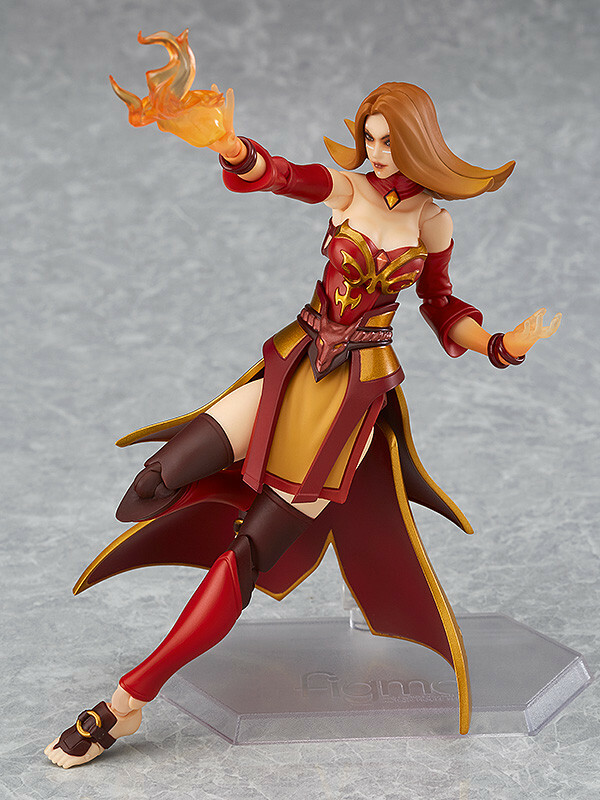 This Lina figure has articulated joints to keep her battle-ready. 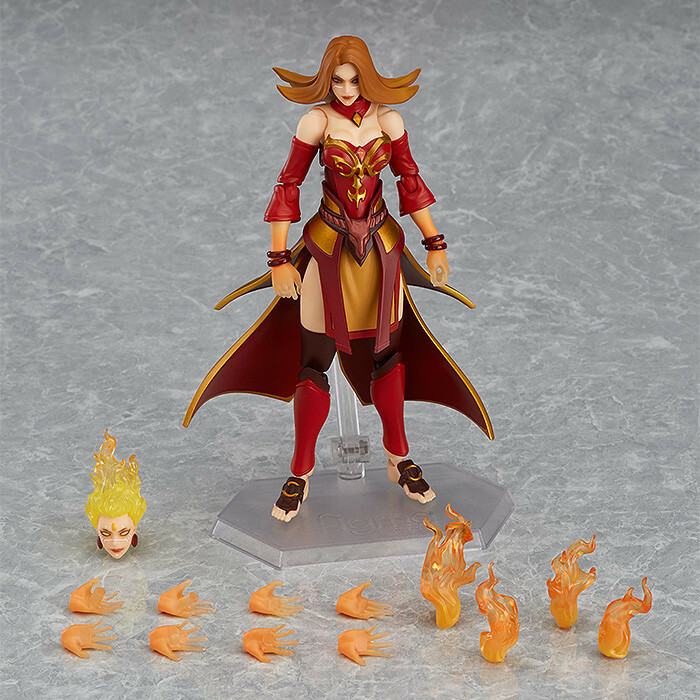 There are several different hand positions to swap out along with a hot-headed look to show off her Fiery Soul of the Slayer. It can be pre-ordered from now until March 23 and releases in July as well. 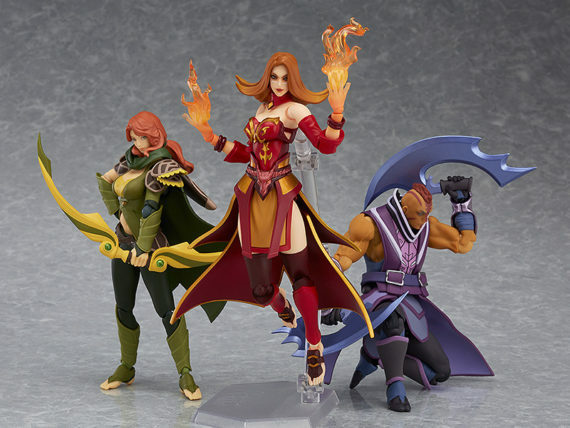 Lina completes the trio of the previously released Anti-Mage and Windranger. 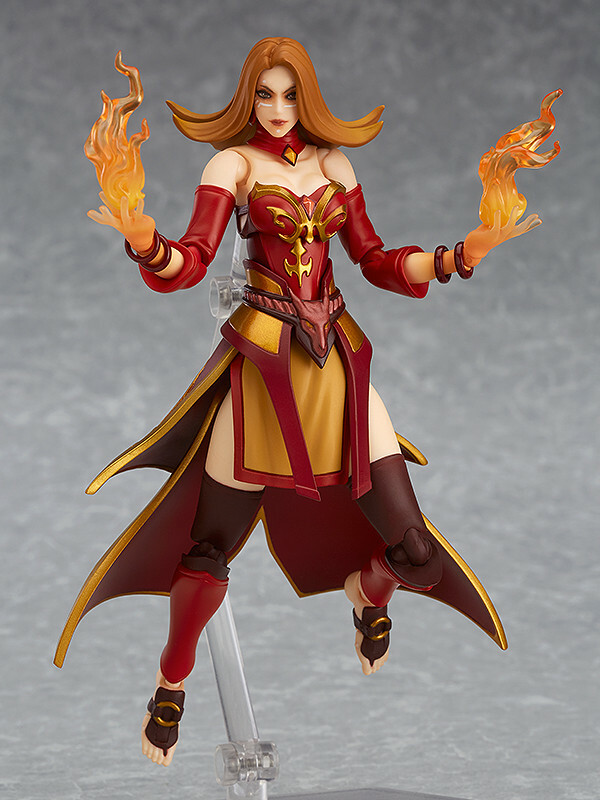 She looks to be a hot addition to any collectible gallery.